The Library & the Provost's Office are pleased to announce that UWP has a subscription to the NY Times Academic Pass. That means anyone with a valid UWP email address can sign up for free access to the nytimes.com web site and smartphone apps. More details below. You must register from an on-campus computer using your UWP email address. From an on-campus computer, go to www.AccessNYT.com. If you can't make it to campus, contact the librarians about creating your pass. Click “Create an Account” to register for a NYTimes.com account using your UWP email address. Please note: If you already have a NY Times account (free or paid) tied to your UWP email, you will need to unlink your UWP email from that account before signing up for your Academic Pass (see Unlinking Your UWP Email Address for more details). Once your registration is complete, you can access the Academic Pass from any computer (on-campus and off-campus) by going to nytimes.com and logging in. Passes expire after a year. At that time, from an on-campus computer, go to www.AccessNYT.com and log in with your NYT credentials. This will renew your pass for another year. If you can't make it to campus, contact the librarians about renewing your pass. 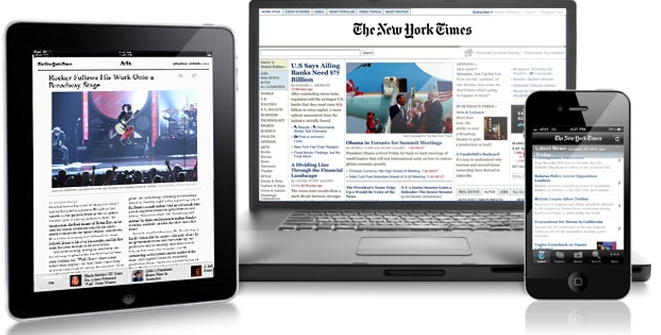 Once you have started your pass and created your NYTimes.com login, please download any NYT app from your device's app store and use same NYT credentials for unlimited access. Academic Passes do NOT include print copies, e-reader editions, Premium Crosswords, or the NY Times Crossword app. Academic Passes offer unlimited access to articles published 1981-present. There are no daily limits. Academic Passes offer limited access to articles from 1923 to 1980 (5 articles per day). However, the UWP Library has a separate subscription to the New York Times Archive (1851-2008), and there is no limit to accessing historical articles via that interface. If you have a personal subscription that includes features not available through the Academic Pass (see Restrictions), you may not want to cancel your subscription. To cancel your personal subscription, call NY Times customer service at 1-800-NYTIMES or, if you subscribed through iTunes, follow these instructions. There may be other things you have to do, depending on the device you have been using to read the NY Times. If you had an annual subscription, you will receive a refund for the unused portion of the year. If you had a monthly subscription, you will not receive a refund for the month in which you cancel. If you already have a NY Times account (free or paid) tied to your UWP email, you will need to unlink your UWP email from that account before signing up for your Academic Pass. Select “My Account”; select "Change Email." Replace your UWP address with a non-UWP email address and save. You can now use your UWP email address to register for your Academic Pass by following the registration instructions above. Please take advantage of this fantastic offer, and spread the word among your UWP colleagues! If you have questions, contact the Library at askus@uwp.edu.